Handy pack of the most popular allen key bolt and dome bolt lenghts and threads with matching washers. Available in various colours and manufactured from high tensile anodised aluminium. 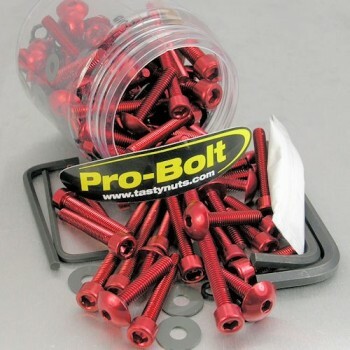 This set is a great for faring and engine bolt replacements. Longer bolts can easily be cut dow to the required lenght.